In each and every business we are only looking for profit, In the same way, each restaurant manager needs to expand their sales and decrease loss/cost. The Ideal approach to doing this is to utilize suitable and beneficial restaurant point of sale - POS solution, so that the management group can have a complete blueprint of each part of their business and without much effort, we can enhance the efficiency of the customer management system. Every Business is getting harder all the time. Competitive business survival needs to be fought for and the battle for customer favor is never ending. Companies and customers expect better service, better products, better quality, and extremely better prices. If we fail to please our customers, we do not have a business. The clients rapidly feel the advantages of restaurant Point of Sale - POS. 100% Utilization of POS and added gadgets at the table definitely decreases the errors or delay being made on request. The request is remotely passed to the kitchen with no manual re – entering (definitely request processed in a fast and efficient manner )Clients do not need to sit tight as long for their request to arrive and when it arrives; it is real, what they requested. Let us check out the POS features for restaurants and shops separately. 1. Smart Point of Sale: We can Run our restaurant or bar efficiently. Come, we can check out the restaurant POS specifications! 2. Interface design target Productivity: You need not spend more time at the counter; you can easily take care of your customers. Always be there for your customers because customer satisfaction is important. 4. Compatible with any hardware: No installation and no specific hardware required. 5. Online or offline: Odoo 's Point of Sale stays stable & steady even if your connection is not. As a Web Application, Odoo Restaurant does not require any installation. It just works online. An important thing is an Internet connection is required to start the Point of Sale, it will stay operational even if your connection is not. 6. Keep in touch with your precious customers, and keep them coming back with different programs. You can Give your customers a positive experience by improving your services or Offer loyalty cards and rewards/discounts .It is all a part of marketing strategy. Keep track of your customer’s habits and send them special offers and sale notices. Maintain full control over your inventory and get accurate forecasts of stock levels. Create customer invoices in just a few clicks. Boost your online sales with sleek product pages. Broad reporting is another important advantage that restaurant POS offers We can quickly see which things are offering faultlessly and which are not. This data improves the quality and efficiency of the administration and help us to plan for future. 1. User-friendly Point of Sale: Set-up in minutes sell in seconds. Compatible with any device. 2. Compatible with any hardware: No installation and no specific hardware required. 3. 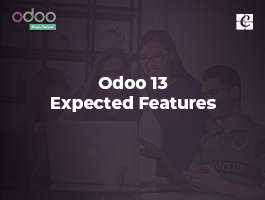 Everything your shop needs: Because of its flexibility we can easily configure Odoo POS to meet your precise needs.Odoo POS is based on a smart interface that any retail company can use without any difficulty. 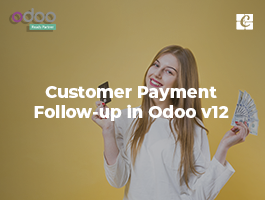 Odoo's Point of Sale stays reliable even if your connection is not. Set up new stores quickly and easily with just an internet connection. Then use your Point of Sale everywhere, anytime. An important thing is an Internet connection is required to start the Point of Sale, it will stay operational even if your connection is not. 5. Keep in touch with your customers, and keep them coming back with loyalty programs. 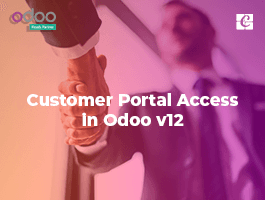 · Reward your customers with points, gifts, and discounts with Odoo loyalty programs. The whole process is fast and can be automated completely. Identifying your customers is even faster with loyalty cards and customer barcode ids. · Register your customers to keep track of their buying habits. 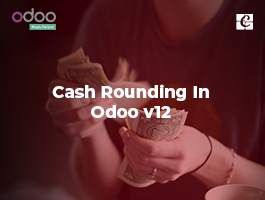 You can then send them special offers and sale notices with Odoo Mailing. Register tax identifications for your business customers and give them invoices instantly (or send by email). 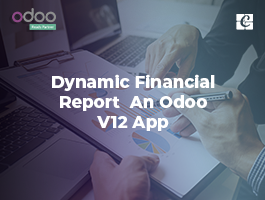 Odoo Inventory app automatically inputs any transaction from the POS in the inventory/stock. You can see in real time the availability of products without losing time (stock updating /stock checking). Furthermore, the POS is compatible with Odoo e-Commerce. You will not need to setup separate stocks for the two apps and be a truly multi-channel business, without any a headache. Keep track of your customers’ habits and send them special offers and sale notices. Which helps us to make our customers happy, because they need not check out the availability of the particular product. We can easily Maintain full control over your inventory/stock and get accurate forecasts of stock levels. Automatic updating definitely help us to save time and within very few clicks, we can get the A to Z idea about the stock levels. Create customer invoices in just a few clicks, which helps us to save time.